Most weekends I bake a loaf of bread. I’m a creature of habit though and always make the same super simple white loaf – it’s one where you mix everything together in a bowl (no kneading required!) and leave for up to 24 hours before shaping and baking. It’s quite a dense loaf but I think it’s perfect freshly baked in the morning and then toasted with scrambled egg on top. 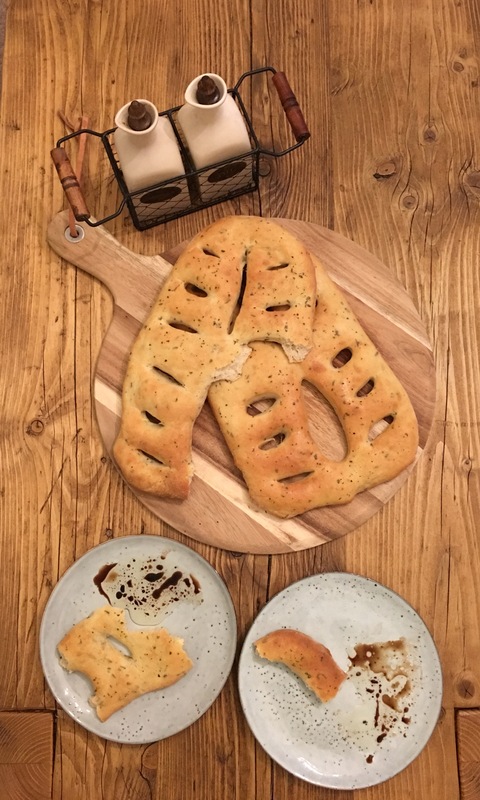 I do like trying new breads but often look for reason to try one so I was slightly disappointed with the technical challenge from bread week. 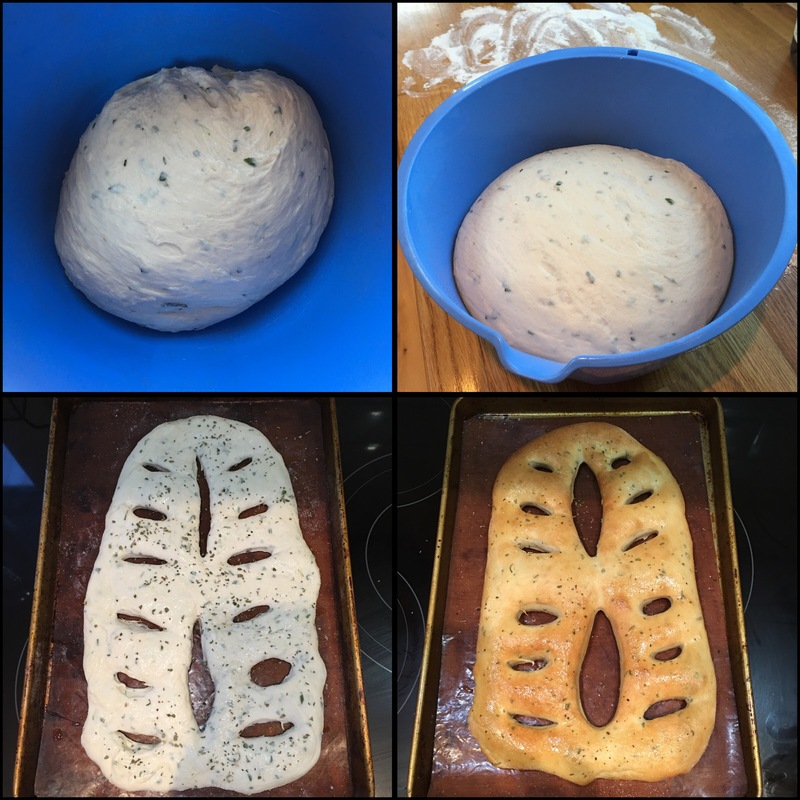 However, last week (botanical week), gave us another bread to try and it sounded really good. I read the recipe (you can find it here) and discovered that they weren’t going to take too long to make. So late on Sunday afternoon I made up the dough (8 minutes in the mixer) and left it to prove while I made our super. I should have read the recipe for super too – it took 2.5 hours and it was 6.30 when I started it! Luckily the bread was quicker and ended up making a perfect (very moreish) starter to keep us going until super was ready. The dough it quite a sticky dough when you leave it to prove, and I did wonder how I was going to be able to shape it. However, after tipping it onto the semolina/flour mix it was then quite easy to shape on a tray. They looked a bit of mess when I made the cuts and tried to open them up a bit but after baking they were a much better shape. 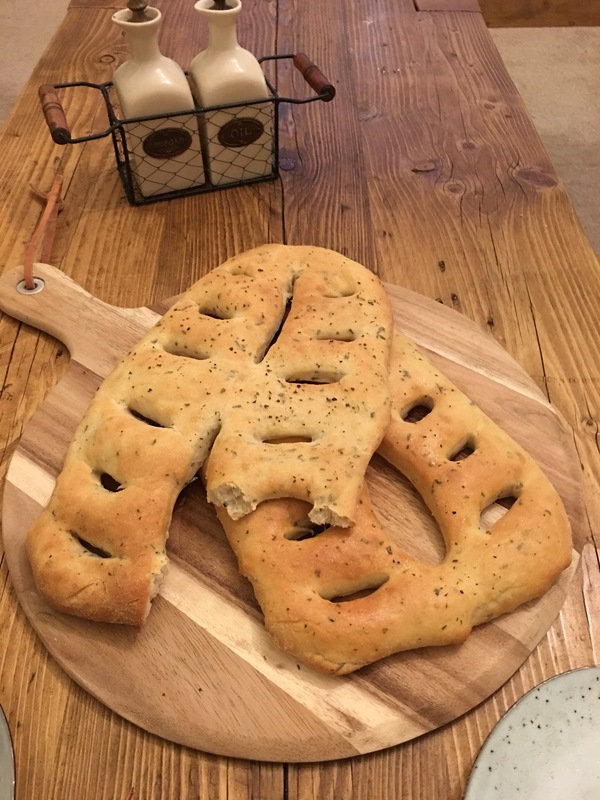 I would definitely recommend making these – for a bread that looks quite fancy, they were more straightforward than I thought they would be to make.